Winky stares soulfully into the camera, while Yoda hangs out in the background for once. That's an awesome pouch pic! 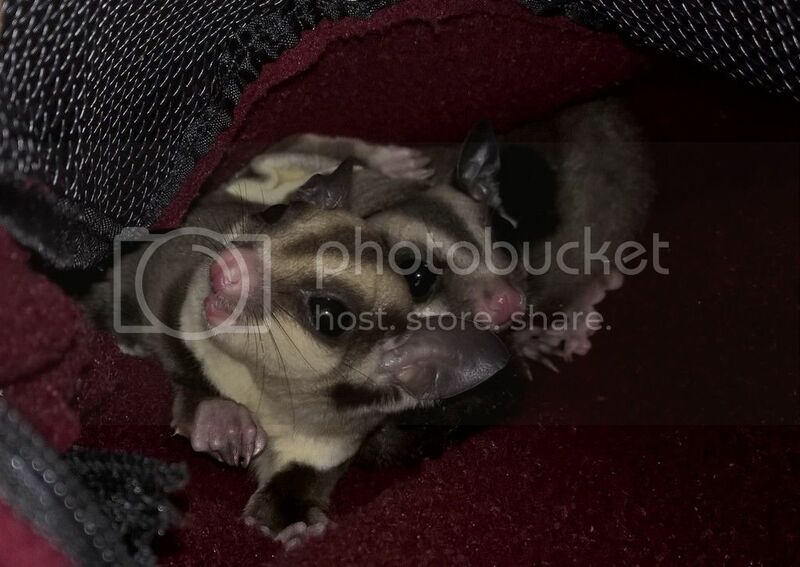 I can't ever get good pouch pics of my babies.